In May of 1869, Jens Madsen was born in Fyn, Denmark. Perhaps it was this setting that inspired Rev. Madsen to study landscape architecture as this small island was christened "The Garden of Denmark" by Hans Christian Andersen. Fyn, the smaller of the country's two major islands, is dotted by beautiful beach glades and swan ponds. In the spring of 1893, Madsen set sail for the United States and entered the Danish Lutheran Trinity Seminary in Blair, Nebraska. 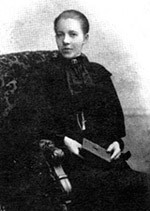 At that time, his fiancée, Ane Neilsen, moved to the States and worked at the home of Professor Vig in Chicago, Illinois, where Madsen would eventually come to attend seminary. Rev. Madsen was ordained October 19, 1902 by the Rev. G.B. Christiansen, President of the United Evangelical Danish Lutheran Church at Hampton, Nebraska. In September, 1903, he and his fiancée, Ane, were the first couple to be married in the church that Rev. Madsen designed in Potter, Nebraska. Around the time of the marriage of Rev. Madsen and his wife, Ane (March 5, 1903), a group of men were asked to meet in the study of the Rev. J. Moller, pastor of Bethany Lutheran Church in Denver. These eleven men agreed to become the trustees of a new sanatorium and the first deaconness motherhouse in Colorado. That evening, they penned the constitution and by-laws for the "Lutheran Deaconess Institute and Sanatorium Auxiliary." In September, 1903, a discussion centered on a permanent location for the new sanatorium and motherhouse. The Trustees decided to purchase thirty-five acres near the railroad track in the town of Brush. The purchase was finalized in February, 1904. In January, 1904, the first issue of Föbe (now known as Phoebe) was published. The newsletter called Christian women to consider coming to the sanatorium, and Miss Marie Hvidbjerg (pictured at right) was the first to answer the call. She agreed to come to Brush after her Deaconess training at the motherhouse in Copenhagen, Denmark. 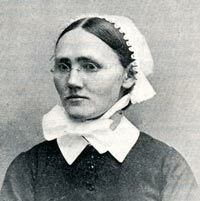 Maren Sorensen also indicated her interest in the newly established mercy institute, and would move to Brush after her training in Omaha, Nebraska. The second issue of Föbe announced that the new sanatorium was to be named "Eben Ezer," a Hebrew term meaning "stone of help." 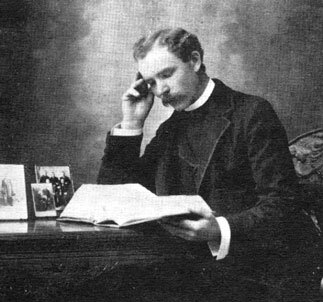 In March, 1904, Rev. and Mrs. Madsen moved to Brush and even though the house they moved into was not large enough, they took in their first patient, a man from Oconto, Wisconsin, that same year. 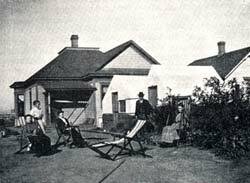 The Trustees met for a second time August, 1905, and on that occasion traveled to Brush in order to see the land that had been purchased for the permanent site of the sanatorium. In the fall, 1905, the Madsen's moved to a larger site at 209 Carson (pictured at left) Street in Brush. The quality of water was better on this side of town, and in an effort to take advantage of this fact, they built a wind mill and erected the first of the tent houses at that location. The site was fondly referred to as "Little Eben Ezer." While at this site, Madsen and workers built a 12x12 bathhouse. Reportedly, this was the first bathroom in town when a shower, sink and stool were installed. In 1905, Fobe reported the rates at Eben Ezer were $5.00 per week. This change included room, three meals each day, nursing care, use of the bathhouse, and a weekly visit from the doctor. The staff and patients of Little Eben Ezer prepared to move to the permanent site in March, 1906. Two "brothers," who had decided to dedicate their services to the new sanatorium, were putting the finishing touches on the first house built on the Eben Ezer grounds. The house was called "Nazareth," and its eight rooms were to accommodate some of the patients and staff. 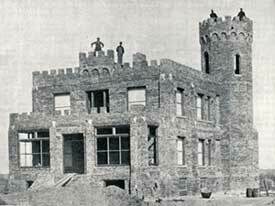 Nazareth was dedicated on May 20, 1906. The members of the St. Ansgar congregation joined the workers and staff in the celebration held on Nazareth's front porch and lawn. Spring, 1906, saw the construction of a 18x35 foot arbor (above), its top covered with straw and branches to provide shade and a place to rest. 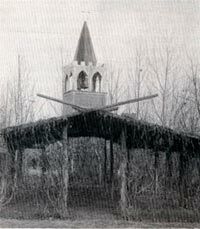 The arbor became a popular meeting place, and Rev. Madsen had a temporary altar built there. On June 5, the arbor was the centerpiece for the celebration of a Danish Independence Day. November, 1906, saw the laying of a cornerstone for a building that would be named "Bethesda. "(pictured at left). On April 18, 1906, Sister Ingeborg Hansen joined the workers at Eben Ezer. Several days after her arrival, however, she fell ill with typhoid. After regaining her health, she joined the other workers where she devoted herself to fifty years of service. She was the first Deaconess Sister to be invested at Eben Ezer and for many years it was her responsibility to supervise the meals and care of elderly residents. Dr. D.W. Turner served as the first "house" doctor at Eben Ezer. Another young doctor, A.C. Lusby, was a patient at Eben Ezer during that time and came under the care of Dr. Turner. As soon as he regained his health, he assisted Dr. Turner and eventually took charge of the consumptive patients at Eben Ezer. Dr. Lusby became an expert in the study and treatment of tuberculosis. Both he and Dr. Turner also instructed the Sisters in anatomy, physiology, and other courses necessary for their training to become nurses. In 1907, Sister Sena Frandsen was welcomed to Eben Ezer as a deaconess candidate. She served the institute for fifty years. Other events important to the establishment of Eben Ezer in these early years included the arrival of electric power lines in 1908, a second story was added to Nazareth in 1909, which included rooms for hospital care and a small operating room, and in 1912, a wooden bell tower was dedicated. The 575-pound bell was mounted in a tower built from scrap lumber. Mr. and Mrs. H.C. Kjeldgaard donated the money for a gold leaf cross at the top of the tower. As Mr. Kjeldgaard also knew how to do this type of work, he donated his skills to the project as well. With the efforts of all these people and more, Eben Ezer was established on its permanent site.